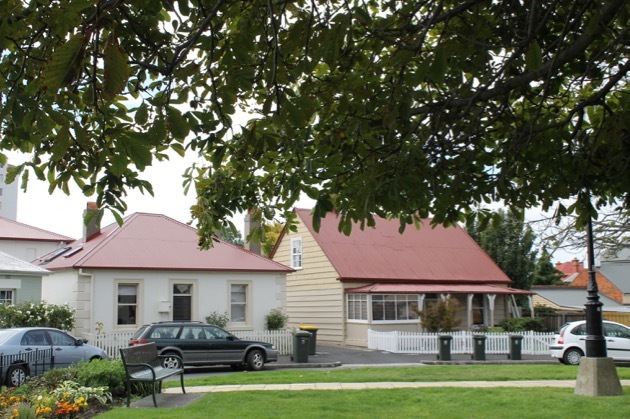 This is one of the places we visited in Tasmania. 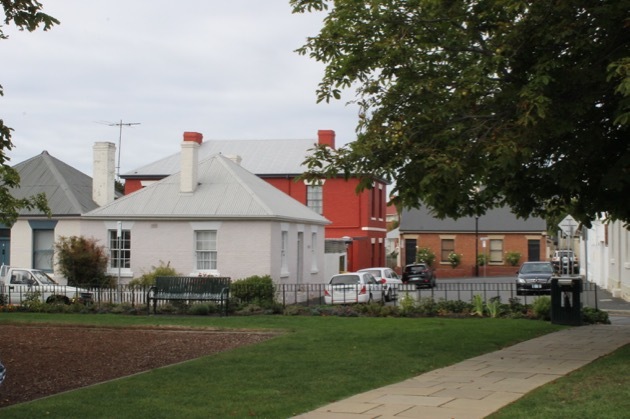 It's Arthur Circus, a delightful little collection of colonial houses surrounding a park in Battery Point, Hobart. I've been enjoying spending a lot of time at home, working away to my heart's content. 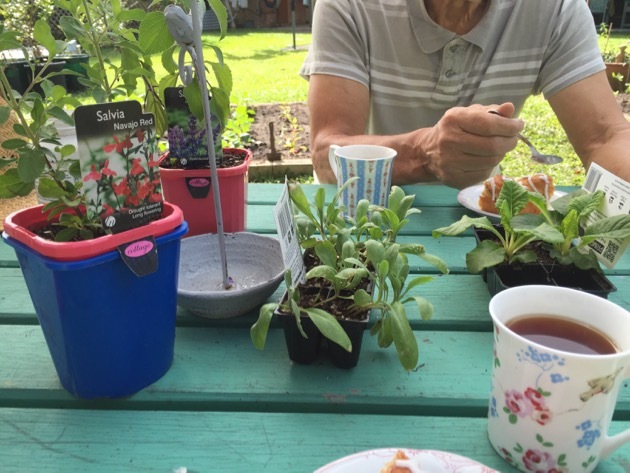 It's another long weekend coming up here and I'll be in the garden again and having the family around for a meal. What are your plans for the weekend? 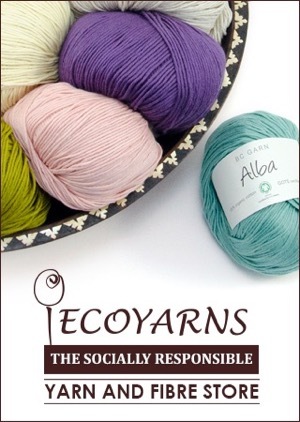 Doing more than your fair share of housework? It's exhilarating and exciting settling in new chickens and setting up a vegetable garden for another year. Of course the chickens require more thought and time because not only do we provide nutrition and water, they also need shelter, security, comfort, nests, roosts and we want them to have the opportunity to spread their wings, scratch the ground, chase insects and live a good life. We have an unspoken agreement with our chooks - they provide eggs and entertainment for us and we give them an environment that supports them in a life that is far removed from the confinement, distress and limitations that millions of their cousins live with every day. Ginger frizzle Tricia with silver laced and gold laced Barnevelders Dora and Thora. Farmyard crosses Lora and Flora. Flora, Lora, Thora, Cora and Dora. Jezebel, Miss Tammy, Patrick (losing her feathers) Kathleen and Nora. 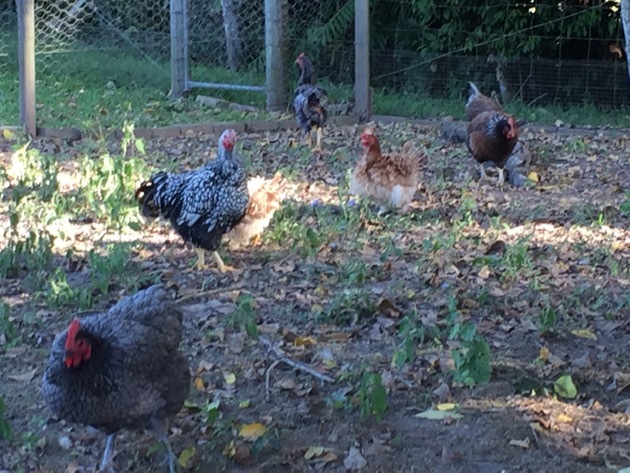 Our older ladies free ranging to the side of the house. 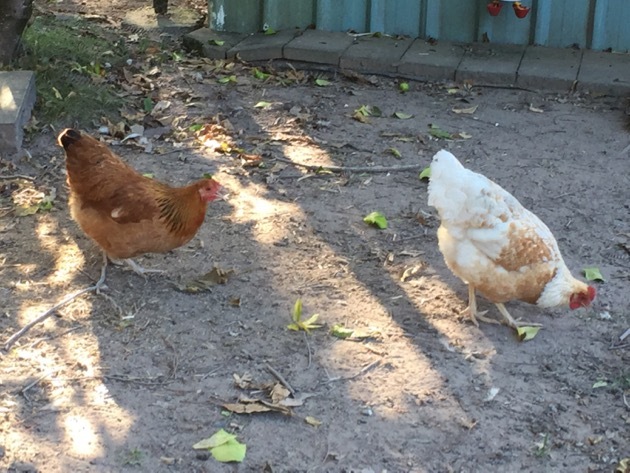 We've already introduced the new chooks to bread soaked in milk, which they loved, and live worms, which they were confused by. There is much more in store for them in the coming weeks and months. Soon they'll out free ranging with their older sisters, walking around on the grass, enjoying the sunshine and the freedom to go where they choose within their large secure garden. To recap for all the new readers, we now have 12 chickens which give us enough eggs for ourselves and our family. 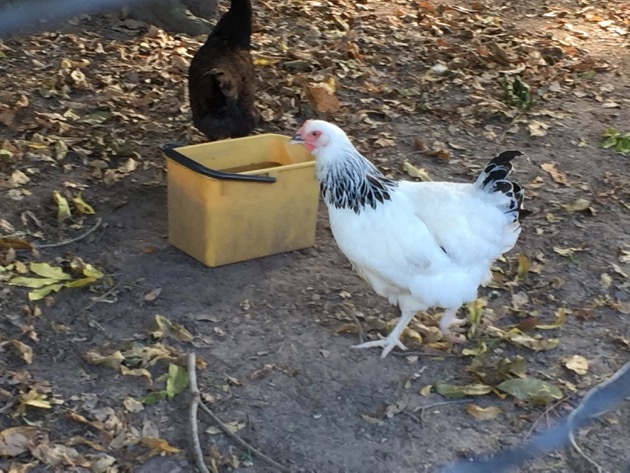 We get our girls from Kate at Beautiful Chickens over at Mount Samson, just to the west of Brisbane. 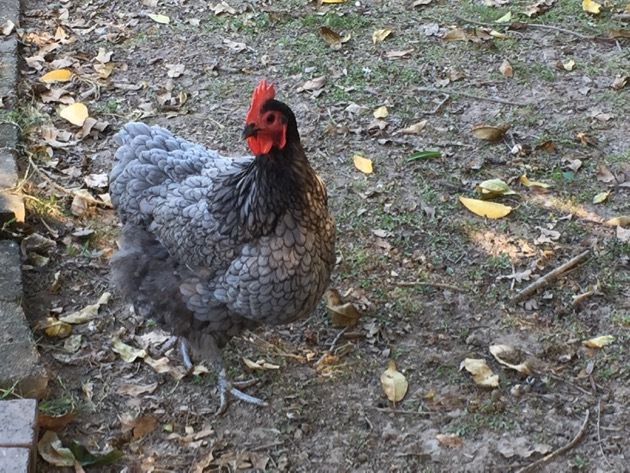 Kate's chickens are mostly pure breeds with a few farmyard crosses and they're healthy, wormed and vaccinated. Our new girls are Flora - buff and white farmyard cross, Lora - farmyard cross that looks like a New Hampshire, Dora - silver laced Barnevelder, Thora - gold laced Barneveldver and Cora - light Sussex. 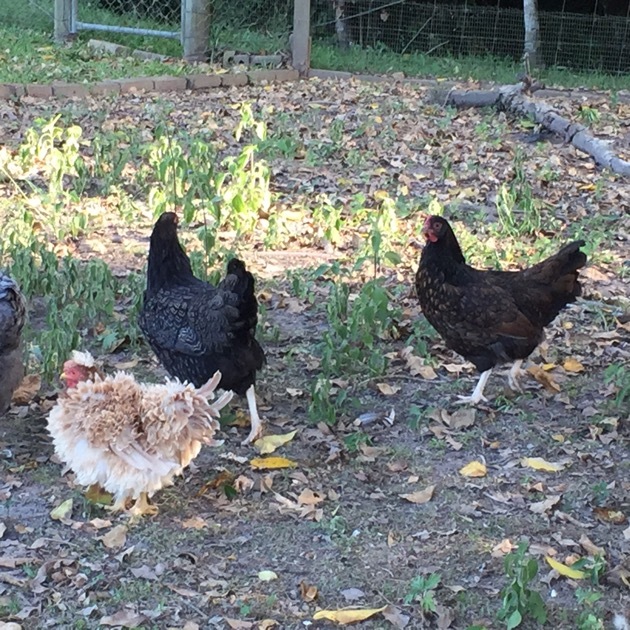 They have joined our older girls Nora - blue laced Barnevelder, Miss Tammy - silver laced Wyandotte, Patrick - barred Plymouth Rock (named Patrick because I was convinced she was a boy when she was younger), Tricia and Kathleen - two ginger Frizzles, and Jezabel and Annabel - two blue Australorpes. At the moment the two sets of girls are living in the same shed, separated by a wall with a door they can see through. 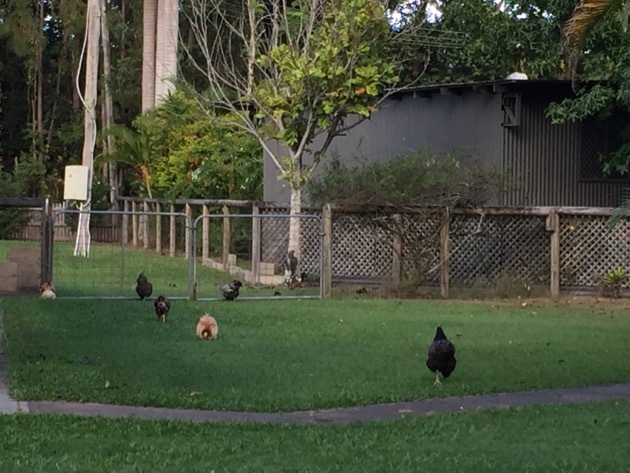 During the day we let the older chooks out to free range and the younger girls out into the run just outside the coop. And what of the garden, you ask? It's getting there. We're much slower this year. We've been slowed by age and the desire to enjoy the process. But even thought it's harder for us we still relish the opportunity we have to make the most of the land we live on. Sure we have aches and pains sometimes but we push through it and just get on with it. 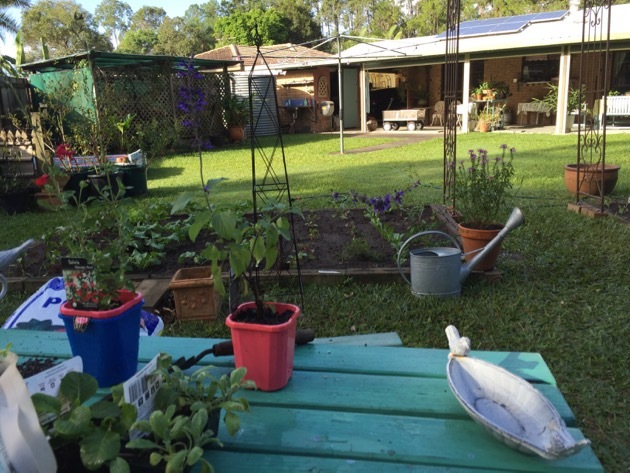 We also stop for tea, to watch the chooks, to sit and talk in the shade of the umbrella and to discuss the important topics of seasonal food, rainfall, soil fertility, compost, worms, bugs, mulch, trellises and sweet peas. Hanno bought me a garden arch for my birthday, which is now at the entrance to the garden with sweet peas planted at the base. Soon those delightful plants will scramble up the arch and flower, hopefully for a few months. When they finish flowering, we'll plant cucumbers there. The new arch way will soon hold a swag of sweet peas. Front bed planted up, back bed still needs a lot of work. 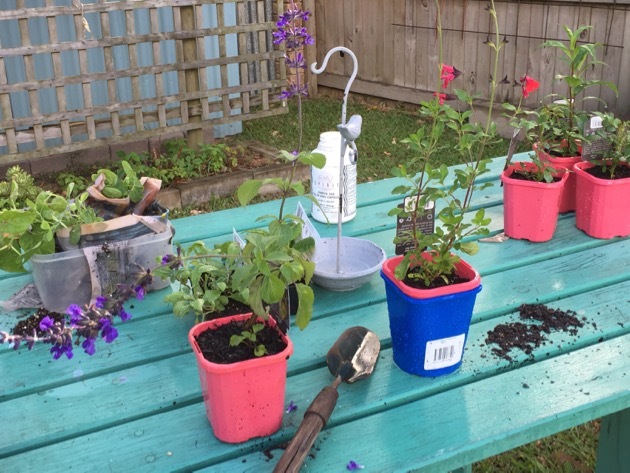 Waiting to be planted - penstemon, roses and salvias. 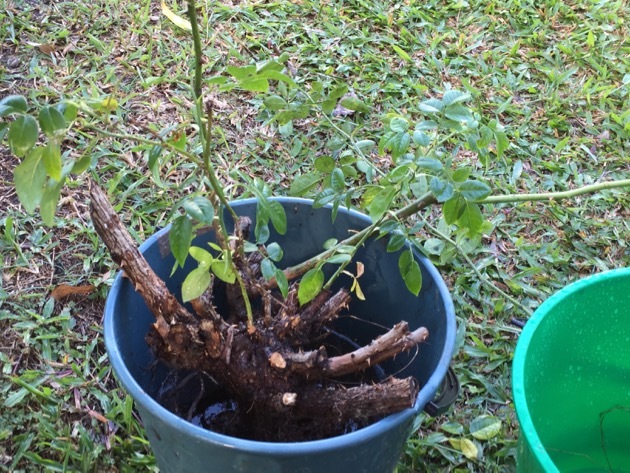 Roses soaking in Seasol, they'll be planted out today after I chop off all that old wood. Yesterday I dug up two roses in the front garden and have them sitting in Seasol before planting them out in large pots today. I also have two small carpet roses - The Fairy - that will be grown in smaller pots among the vegetables. My other flowers are stocks, salvias, primroses, Japanese wind anemones and no doubt, self-sown Cosmos will appear as time goes on. 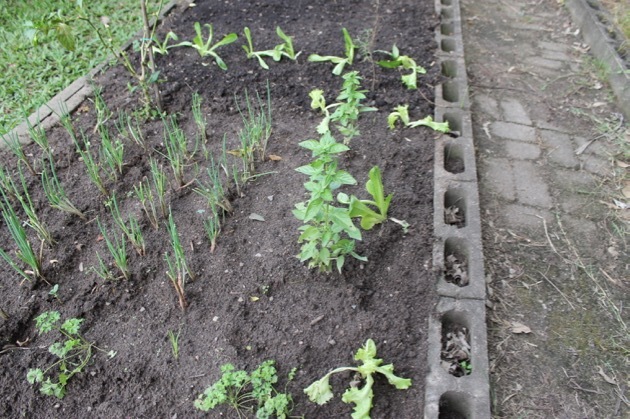 Our vegetables this year are snap peas, bok choy, several types of lettuce, turnips, kohl rabi, beetroot, ruby chard, green beans, butter beans, swedes, kale and Welsh onions. Soon there will be daikon, tomatoes and ginger and I've left in a mild pepper that won't grow during the cold months but won't die either. I'll cut it back a bit in spring and it till start producing chillies again. Our herbs are parsley, sage, thyme, rosemary and basil, and we have raspberries, oranges, lemons, passionfruit, cumquats, loquats and bananas. We've just harvested 5.7 kg of rosellas that are now in the freezer waiting to be made into jam and tea. 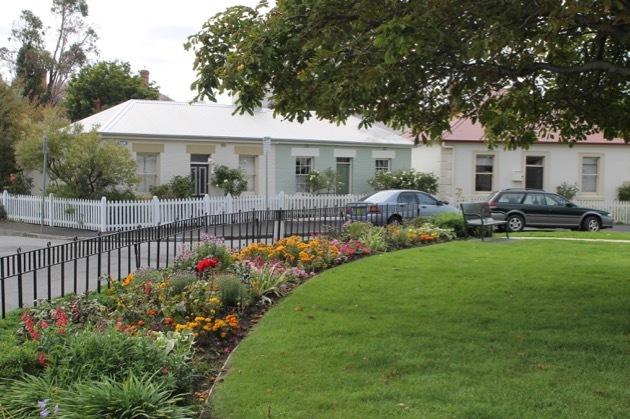 Those bushes were removed last week. It a good combination having chickens with a vegetable garden. 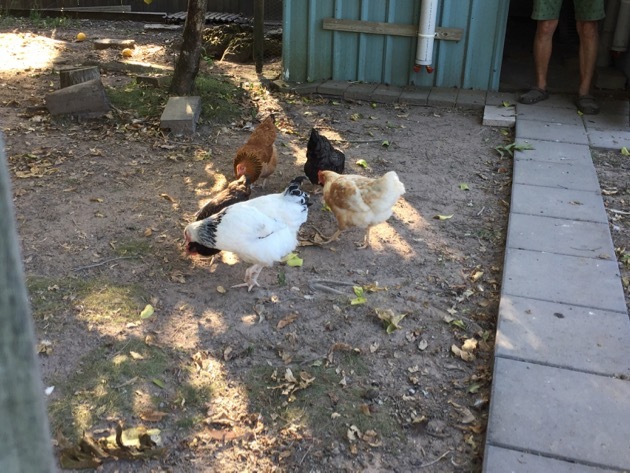 They each supply the other with some of their needs - the chickens give fertility to the garden in the form of manure, the garden gives green leaves and fruit to the chickens which boosts the nutrition level of their eggs. It's symbioses at its best and it plays out everyday right outside our backdoor. We are indeed two lucky ducks. 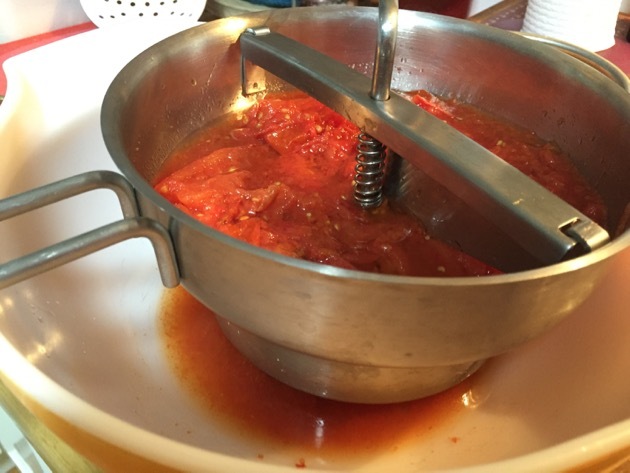 Pasta sauce in the making. It will be a good day today. This morning we're driving over to see Kate at Beautiful Chickens to pick up five new ladies. Photos will be up next week when they've all settled in a bit. I hope you enjoy your weekend. Thanks for your visits this week. I'll see you next week. 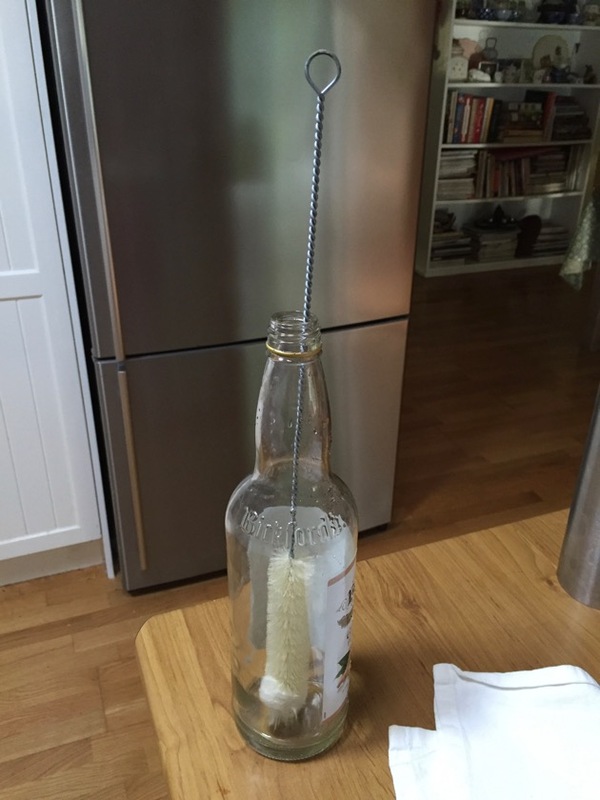 I was asked recently how I clean bottles. Of course I use a brush, I use brushes for much of my cleaning and cleaning bottles is no exception. Last year I added a Redecker champagne bottle brush and a straw brush to my collection. The Redecker brush, made in Germany, is made to clean inside champagne flutes but I've found they also fit inside the narrow neck of most glass bottles. The brush looks like a narrow bottle brush but it has a longer than normal steel handle and a soft wool tip that helps a lot when cleaning in a small space. 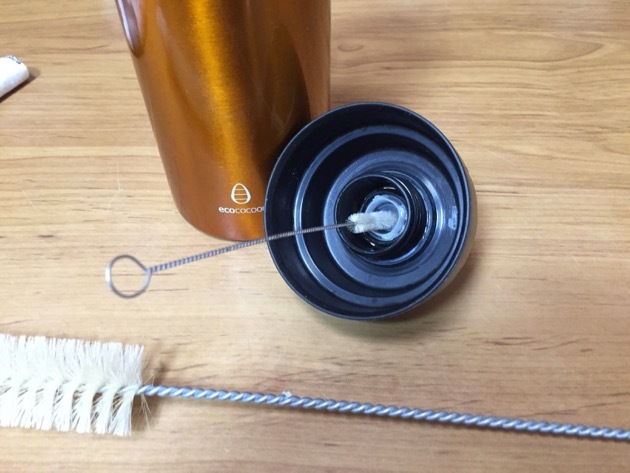 The straw brush makes cleaning in small spaces much easier. 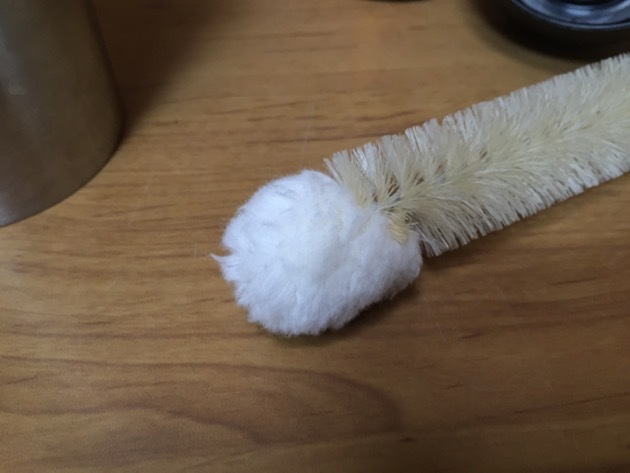 This is the woollen tip of the brush that helps when cleaning the bottom of bottles. The other brush is a straw brush which I use to clean inside the tops of some drink bottles. You can get inside the mouth piece, both inside and out and then when I've scrubbed the area, I place the top in the dishwasher to finish off the job. If you have glass straws or sippy cups, this brush will also clean them efficiently too, allowing you to get into the small tight spaces. If you use cleaning brushes, don't forget to sanitise them frequently by either cleaning them in the dishwasher or soaking them overnight in water with a dash of peroxide added. If you care for your brushes and store them upside down so they can dry out between uses, they'll last a long time. 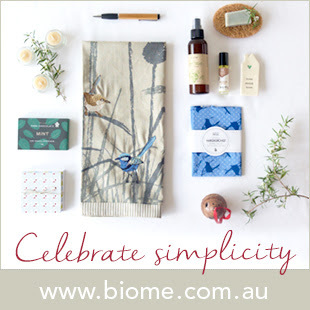 I bought my brushes from my wonderful sponsor Biome who have shops and a mail order business situated in Brisbane. Champagne bottle brush. 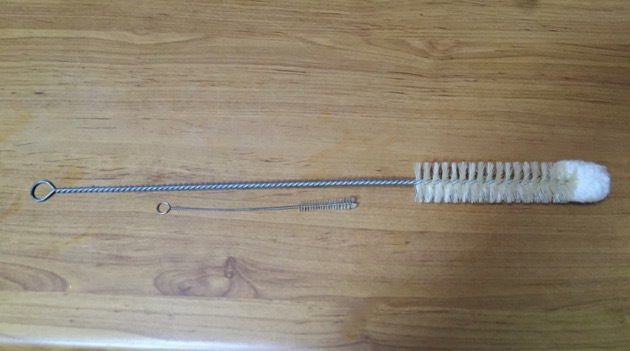 Straw brush. Please let me know if the links don't work for you. 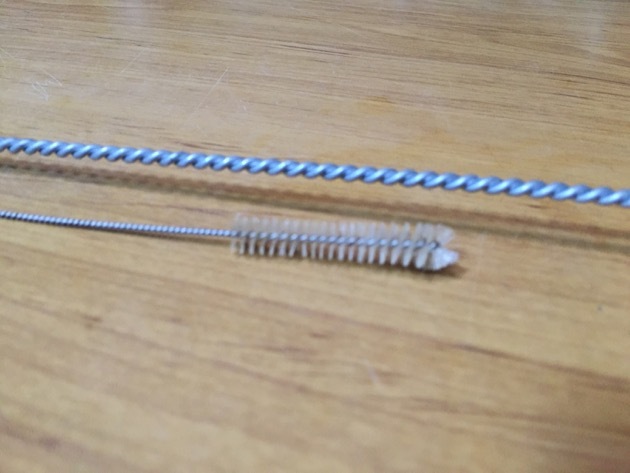 If they don't work, don't click on the following links they won't work, go to google and add the following URLs to your search bar for the champagne brush: http://www.biome.com.au/kitchenware/12891-redecker-wire-champagne-bottle-brush-.html and for the straw brush: http://www.biome.com.au/glass-straw/13722-straw-cleaning-brush-standard.html I'm sorry for the inconvenience. I'm working with Google to fix the links. I love cleaning brushes. If you are using an unusual one, please tell me about it. It was a late start this year but we've finally got the first plants in the ground. Hanno has been digging and enriching the soil for the past week, so most of the garden beds are ready to go and well equipped to help us produce a lot of organic vegetables, herbs and fruit in the months ahead. When we moved here 19 years ago, the clay soil over the entire property was rock hard. Through a lot of work we've changed that clay into beautiful fertile soil simply by adding a lot of organic matter to it - mostly manures, compost and mulch. Every year Hanno builds on progress made in the previous year and between crops, more organic matter is added. 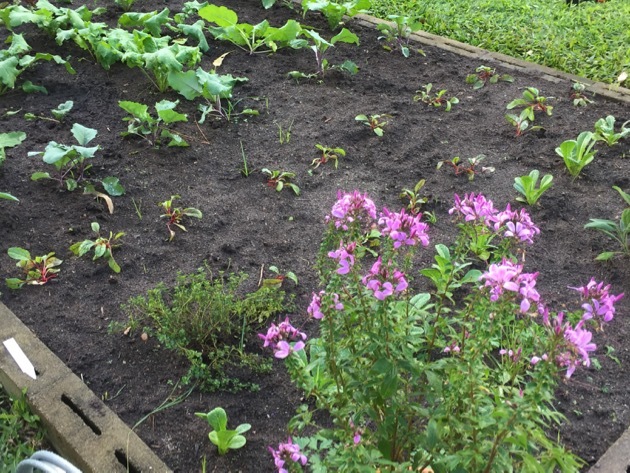 By doing that the garden has remained fertile and productive. 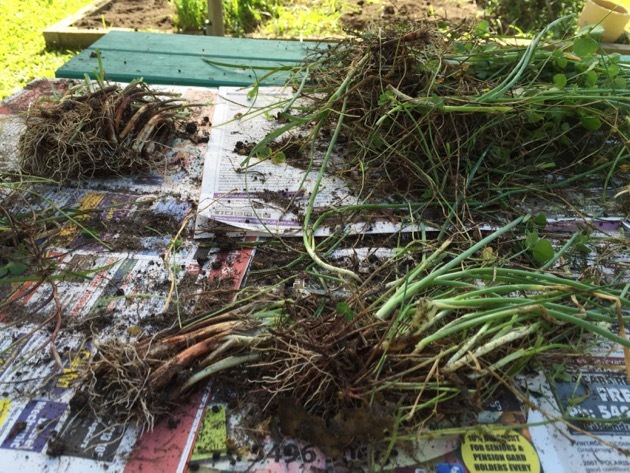 We started off a week ago by digging up the Welsh onions. 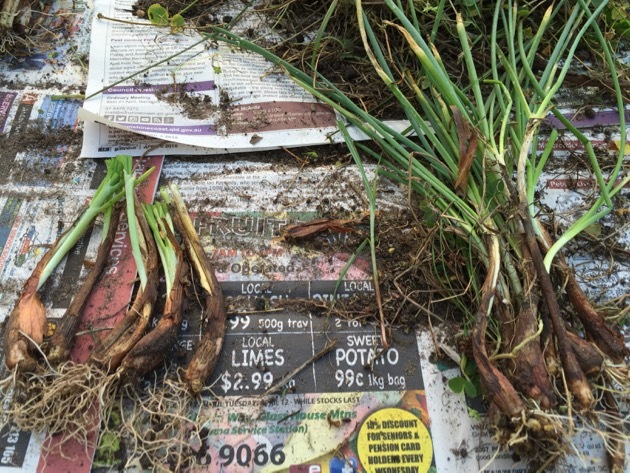 I sat under the sun umbrella in the garden and sorted through the onions, removing grass, seeds and weeds. 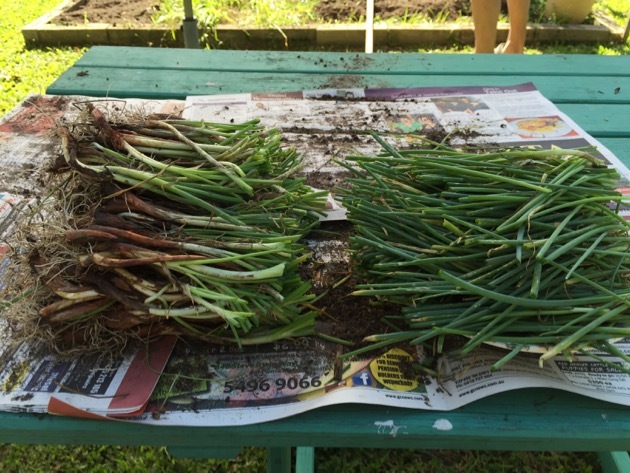 I cut off the green tops and put them in a bag to use in the kitchen, then the onions were planted again in a new bed. They're growing really well now and have already put on new growth. We've added parsley, sage, rosemary cuttings and self-sown basil in a small area that will give us herbs for the next year. 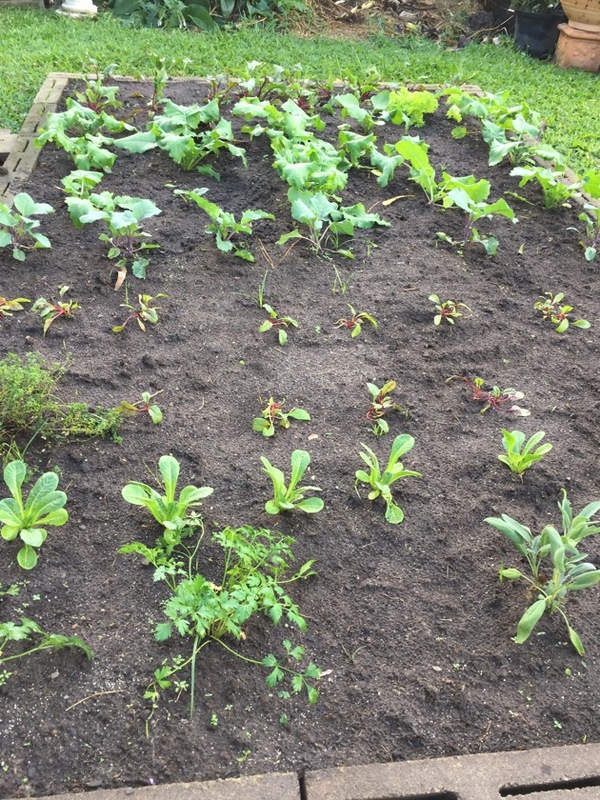 In another bed Hanno's planted kohlrabi, beetroot, turnip seedlings and swede seeds and yesterday, curly kale, Asian greens and ruby chard were added to another bed. Sorting through the onions to keep them going for yet another year. After they were cut in half, the bottoms were planted and the tops used for various meals in the kitchen. 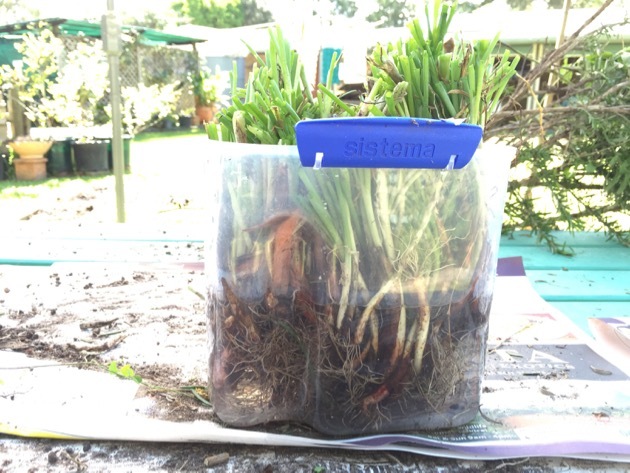 The onions were rehydrated in a weak mix of seaweed concentrate and water before planting. And here they are in their new position, and have already put on new growth. Two bananas suckers planted in the vegetable garden. 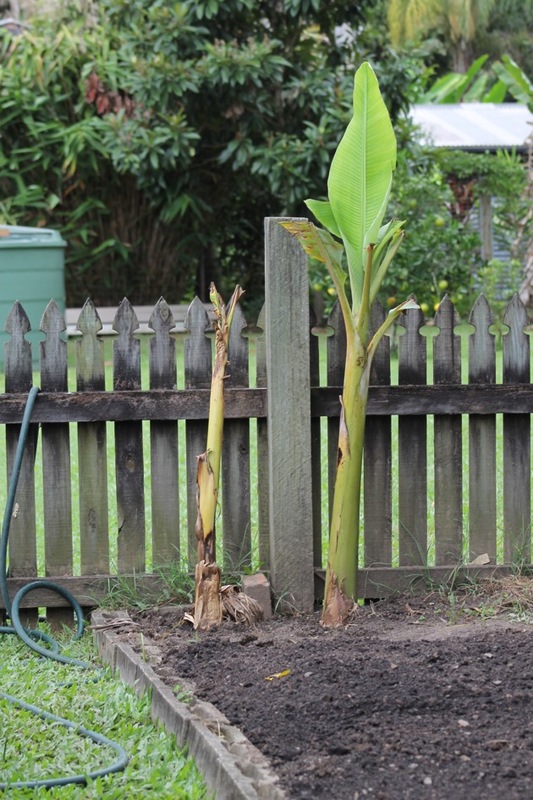 When Shane was here recently he dug up one of our bananas and transplanted it to the vegetable garden. We kept forgetting to water it in the old location and haven't had backyard bananas for a few years. Now it's got a place in the vegetable garden and with water and organic fertilisers, it should take off like a rocket. 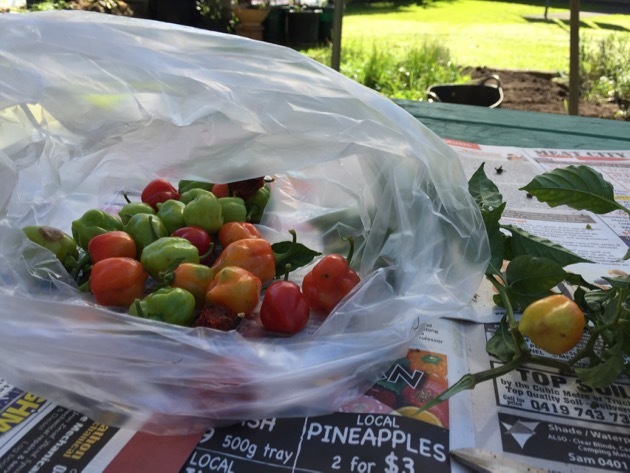 The raspberries have been cut back to the ground to encourage a winter crop, the lemons and oranges are growing well and will be ready to harvest soon and we've just harvested 5.7kg of rosellas and removed the shrubs to make way for new vegetables and flowers. I'll write a post about them when I make up the jam and cordial. 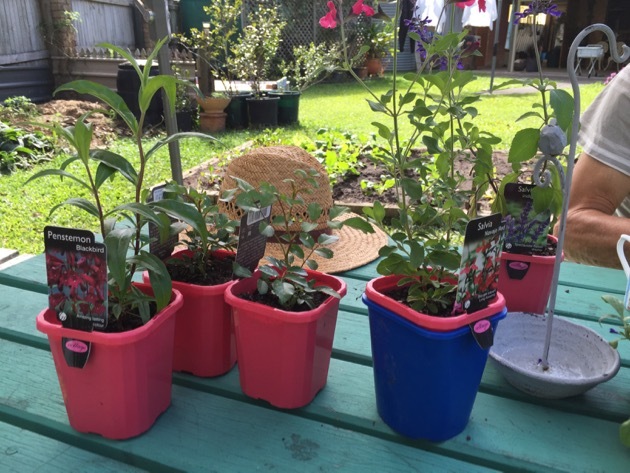 Have you grown rosellas this year? 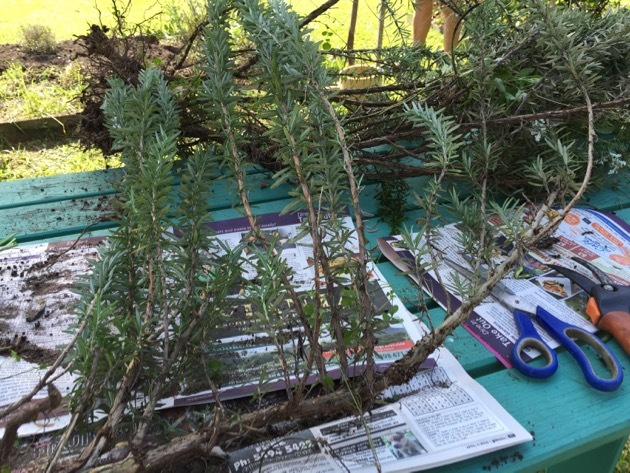 We removed the two year old rosemary bush that was taking over its space and I took cuttings for planting in a few weeks time. 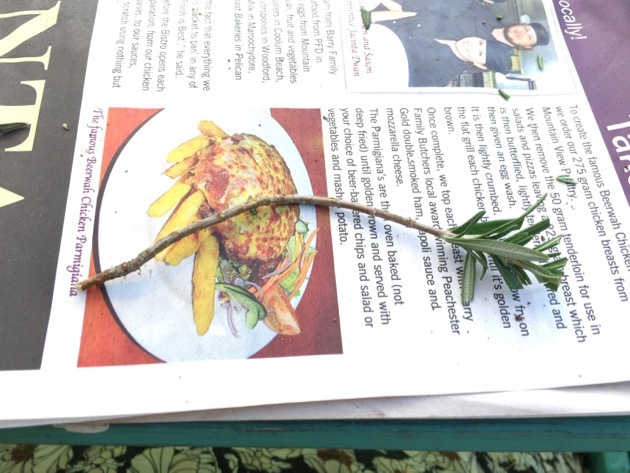 This rosemary cutting is a tip cutting about 4 inches long. I've stripped off the lower leaves, leaving only the top, which I cut back to reduce transpiration. I planted up a cutting I took a couple of months ago. This cutting will be ready in about 6 - 8 weeks. 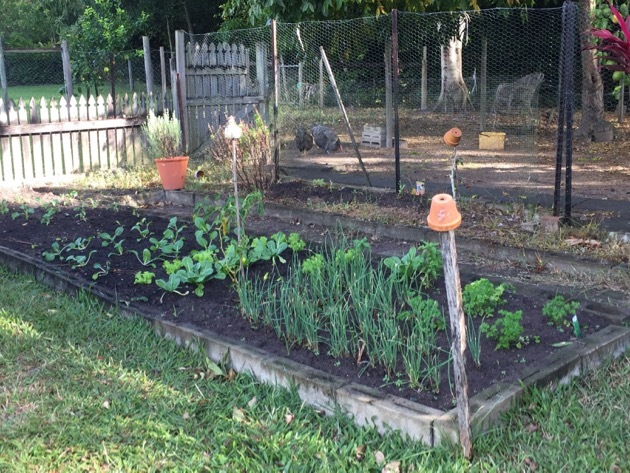 It feels very good having vegetables growing in the backyard again. There was a time when we grew produce all year long but now we take it easy in summer and stop planting late in the year. We usually start planting again in March which is when the weather starts to cool down a bit. So now part of the daily routine will be to check on the gardens and to water and weed when needed. It's a very pleasant part of the day when I'm out in the garden. I still need the umbrella to protect me from the sun but in a month or so, it will be cooler, the sun will be lower and I'll be able to do without the umbrella. I'd really love a pair of binoculars so I could watch the visiting birds more closely from my shaded vantage point, but for now I'll use my eyes and be content with what I've got. Tell me about your garden or your garden plans. I'm coming to the end of my book publicity commitments and I can tell you the final four venues. This week on Wednesday 20 April, I'll be at the Cooroy Library from 10am - 11.30am, next week on Wednesday 27 April, I'll be at the Noosa Library from 2pm - 3.30pm. I'll have books for sale at those events and I'm happy to sign books. Then on Saturday 30 April I'll be at Rosetta's Books in Maleny from 10am till about 11am. It's a casual affair, I'll be drinking tea, talking to whomever comes in and answering questions. If you're around on that day and fancy a cuppa and a chat, I'd love to meet you there. The final event will be at the Toowoomba Library in June and I'll remind you of that date when we're closer to the day. 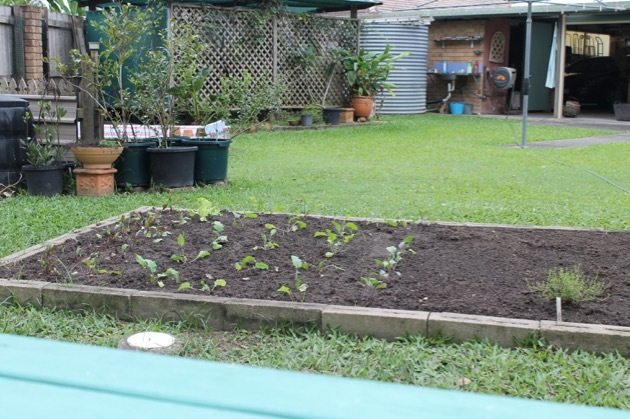 The weather is cooler here, just right for spending time in the garden planting up some seedlings. 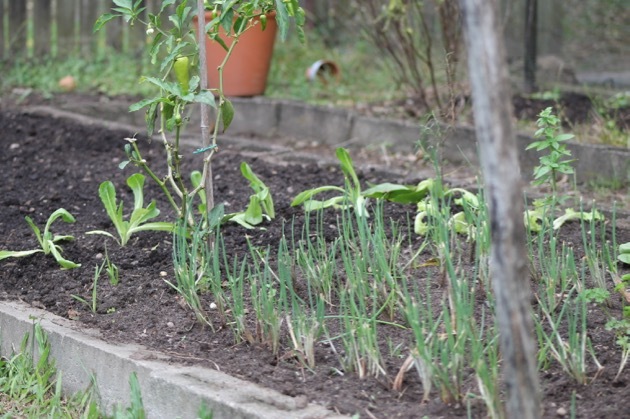 Hanno has been adding manures and compost to the soil and slowly, the garden is taking shape. It's the time of year when the promise of vegetables relies on how much work we do. So we'll be watering, weeding, clipping and making many small steps towards another year of good harvests. We better get a wriggle on. 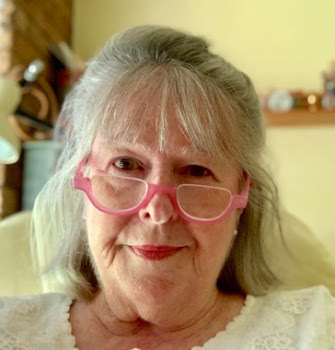 Rose, of Greening the Rose, is blogging again, this time at a new Wordpress location. 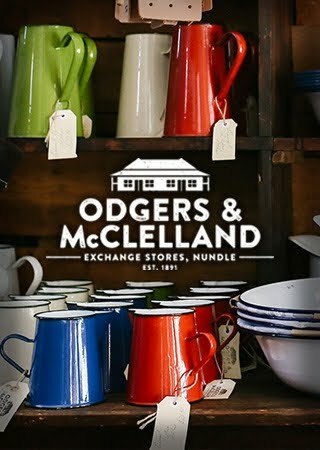 Call in and have a look, then stay for the interesting posts. 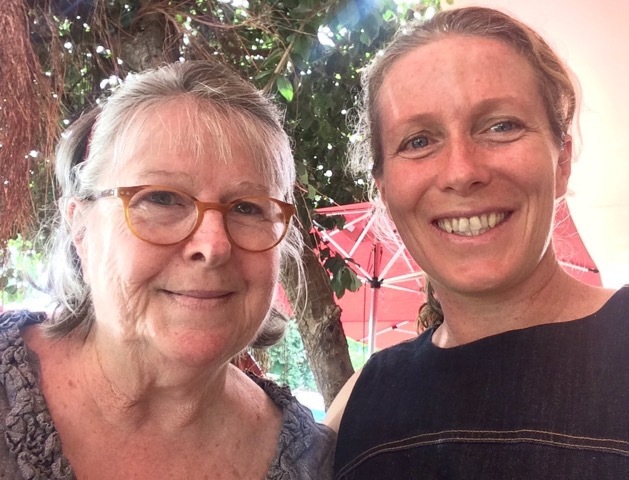 Coffee in Maleny with Morag last week. 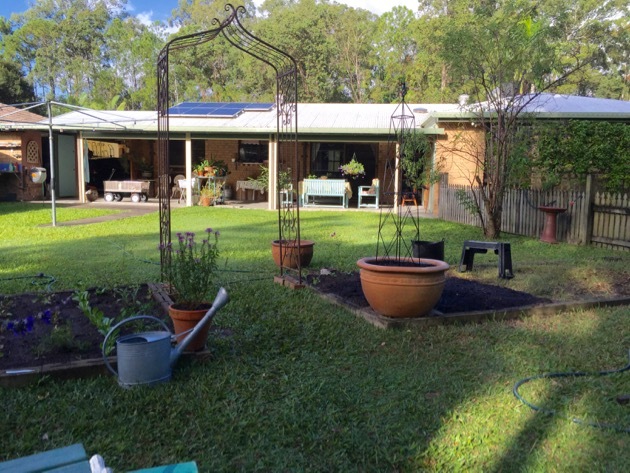 Morag of My Permaculture Life usually has something interesting to say. Here she's blogging about Chia. Morag and I met for coffee last week. It was great to catchup with her, find out what she's working on and sharing some information about our book tour. I hope you can take some time out for yourself and do something you love this weekend. See you next week. 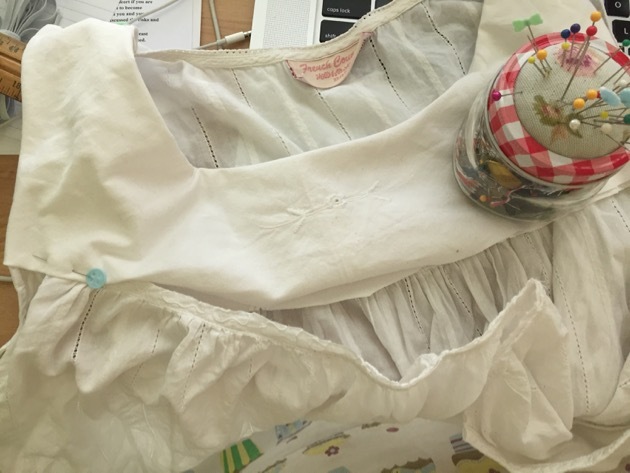 You can save quite a bit of money if you learn how to do some basic sewing. 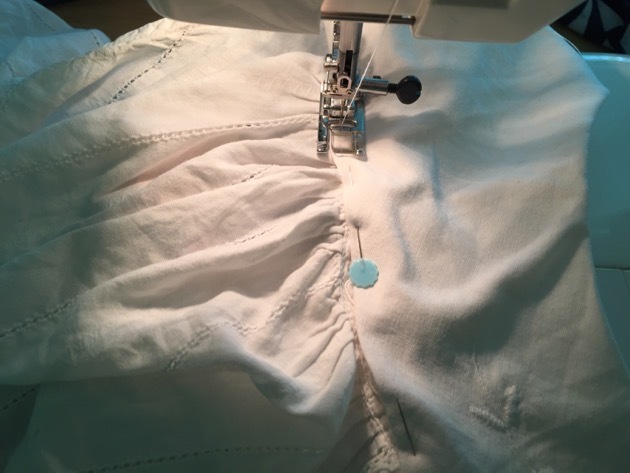 Sewing on buttons, mending a torn sleeve, taking up a hem, replacing a zipper and turning a collar are all skills that can be learned and put into practise when needed. By doing these minor repairs you'll be able to keep family clothing in service longer. 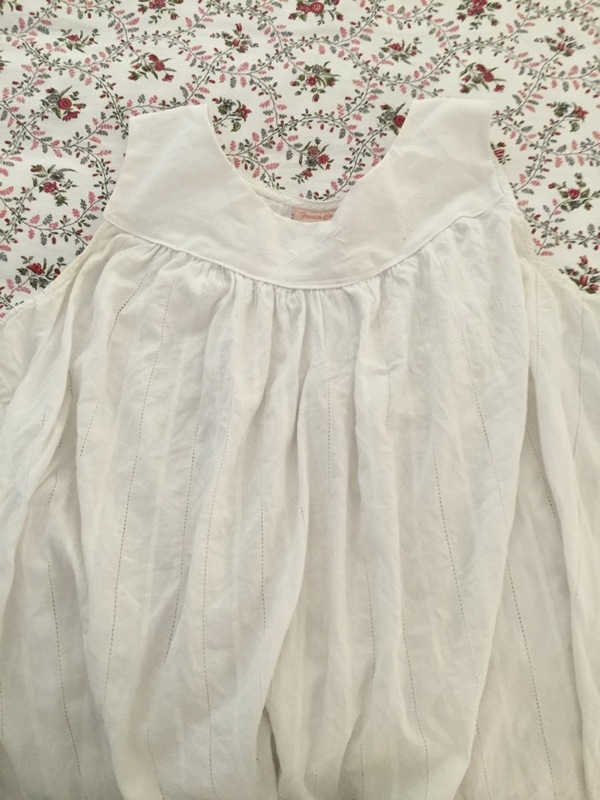 My favourite summer nightgown started fraying on the yoke a little while ago. There was a time when I would have seen that as a signal to go out and buy another one but I'm wiser now, I mended it and saved myself some money. I used a piece from an old cotton tablecloth that I'd used for other repairs. 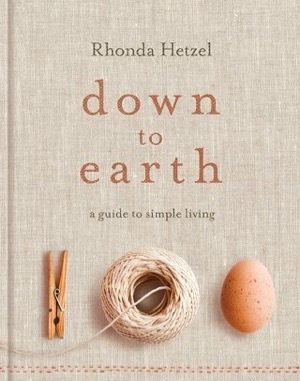 This is the easiest kind of common sense sewing. I just cut out the yoke and used it as a template to cut out the replacement fabric. 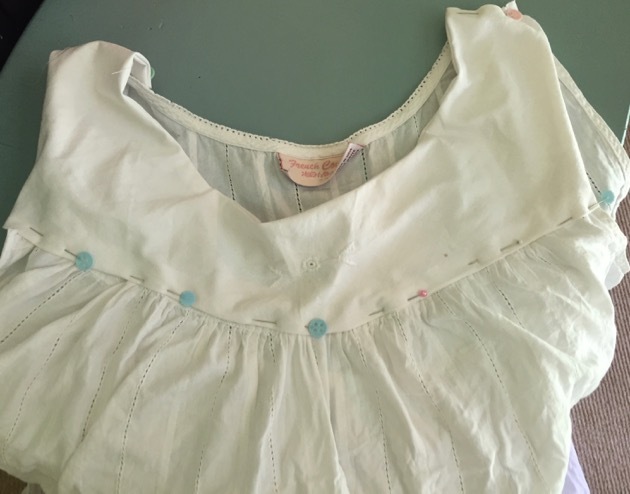 I made it a double thickness so I could pin the bottom of the nightgown in between the two layers, tidied up the fabric where the new seam would be, pinned and sewed it together on the sewing machine. I had to make sure I had both sides of the new yoke sewn securely in place. I did that by pinning it together before I started sewing. I guess it took about 30 minutes to complete this task; it would have taken me longer to drive to the shop. Saving money was the bonus and now I have my favourite nightgown to wear for another couple of years. 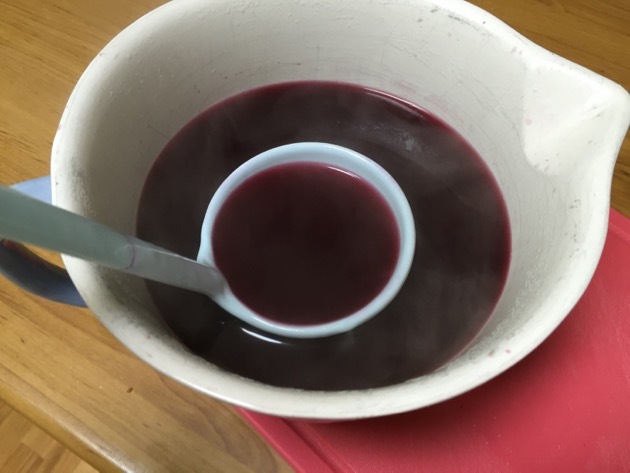 The recipe for this elderberry tonic is in The Simple Home. 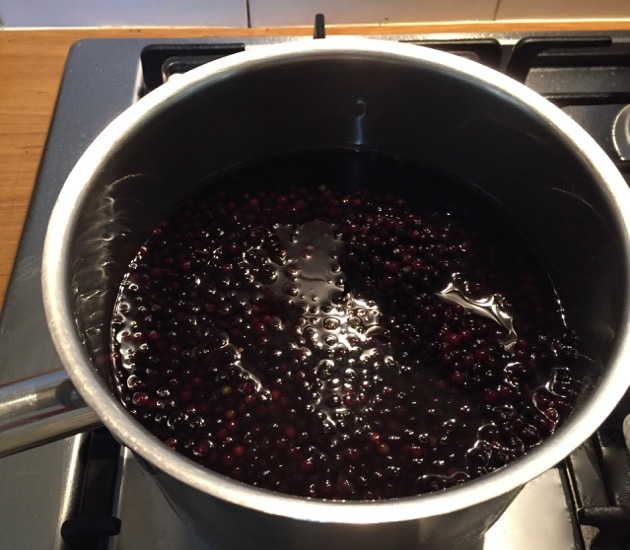 Another thing that took a small amount of my time was making elderberry tonic for Hanno. He picked up a nasty virus while we were away and even after three courses of antibiotics he couldn't shake it. Two weeks of tonic and a fourth course of antibiotics has it almost under control. We've been harvesting elderberries from the tree in the backyard over the past few months and freezing them. 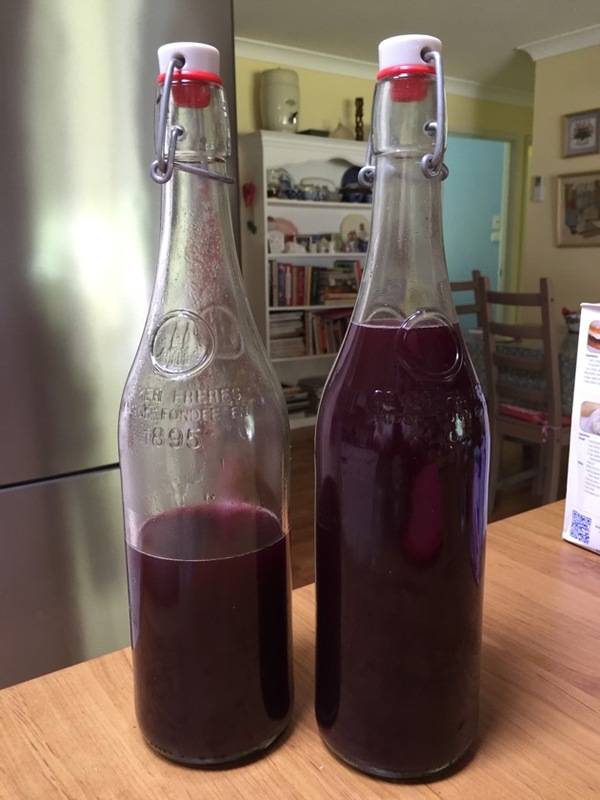 I still have three bags of berries in the freezer so I'll make a few more batches of this tonic as we go into winter. I also harvested all the chillies and will dry and crush them to use as chilli flakes in my cooking. This particular variety is too hot for us to eat as they are. Even Sunny has problems with them and she loves hot chilli. As chilli flakes I'll still be able to use them and they won't go to waste. It was a month late but we got started on the new season vegetable garden this week. We have more planting to do this coming weekend, when I'll take some photos to show you what's happening out there. It's always an exciting time for us getting the year's garden underway. Soon we'll be harvesting to our heart's content. It feels good to have the time to do these domestic odds and ends again. 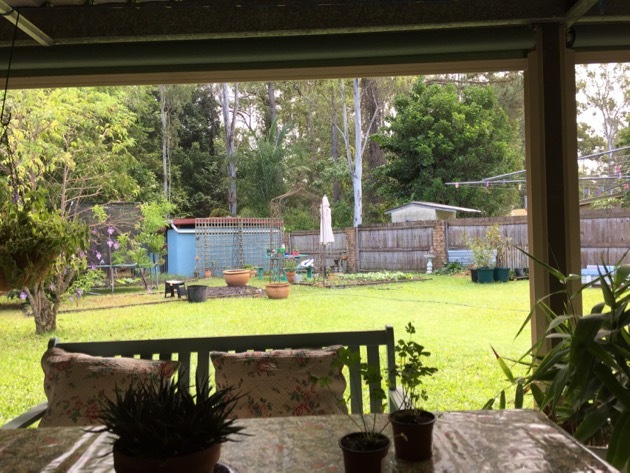 Pottering around the house and garden during the day, working on small tasks, keeping our little homestead going and being satisfied by the work rewards me with a rare kind of joy. It may not be rocket science but there is a warm complexity that swirls around each day. I don't pretend to understand it. 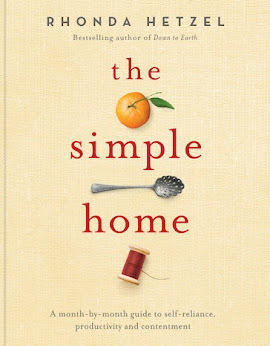 I just know that life is enriched by working in my home and that warm complexity and a slow, simple, quiet life go hand in hand. And that's enough for me to know. It's wonderful having the time to do a bit of preserving when the opportunity arises. 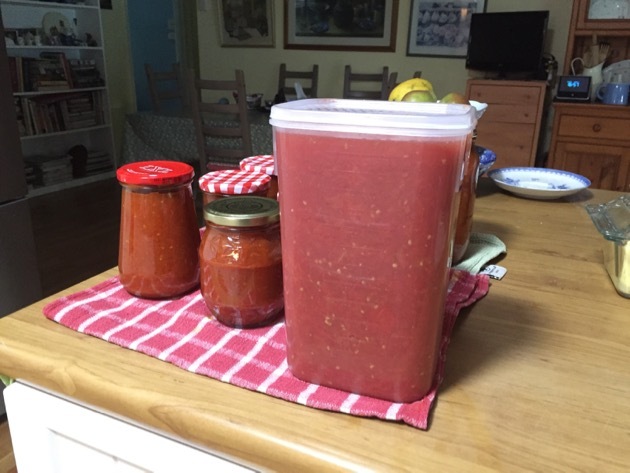 I bought a 10 kg box of tomatoes for $8 on Friday and on Saturday turned it into about four litres of tomato relish and two litres of tomato sauce. 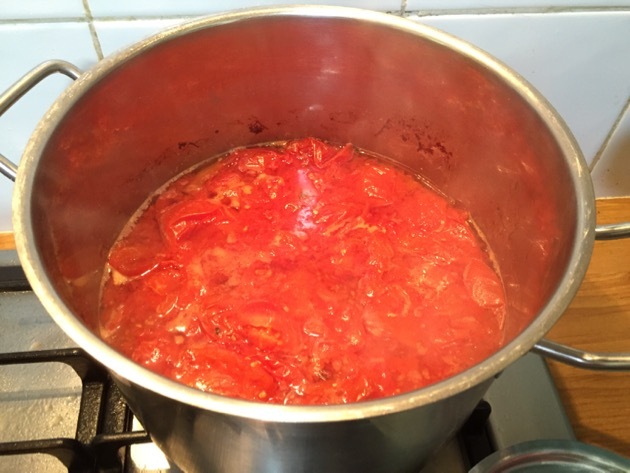 If you want to try your hand at this, ask your greengrocer if they have any cheaper boxes of tomatoes, or fruits that you can turn into jam. The end of summer, going into autumn, is a good time to ask as the fruit is in season then, will be at its peak flavour and cheaper than at other times of the year. 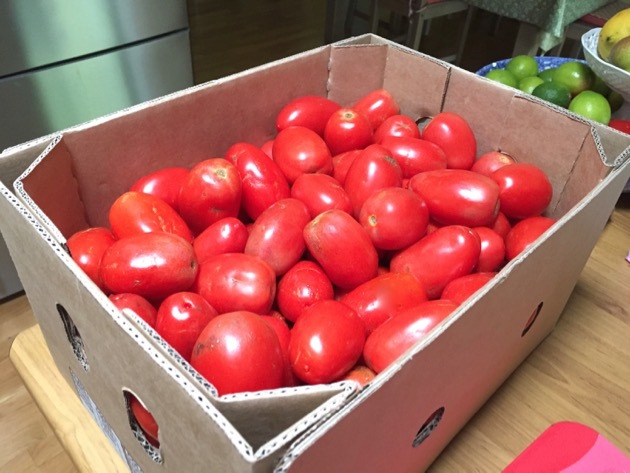 The abundance of produce at that time often encourages greengrocers to reduce the price to move the stock before it over ripens. In addition to the tomatoes, you'll need added flavourings. I used onions, celery, chilli, oregano, salt, pepper and curry powder as well as vinegar and sugar. 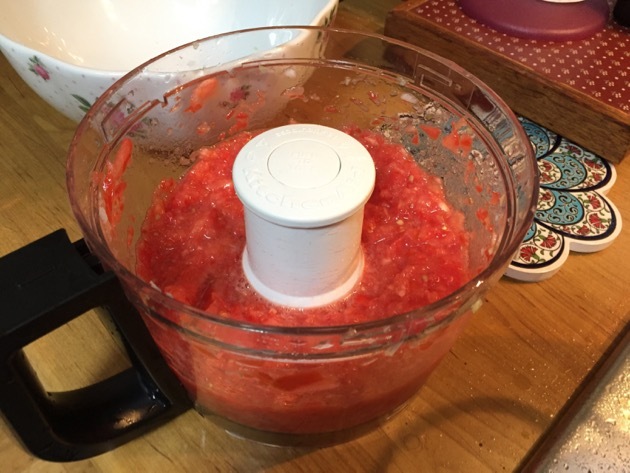 Instead of dicing the tomatoes, I chopped them in a food processor. Just a quick chop is all they need, you want to retain the texture too. 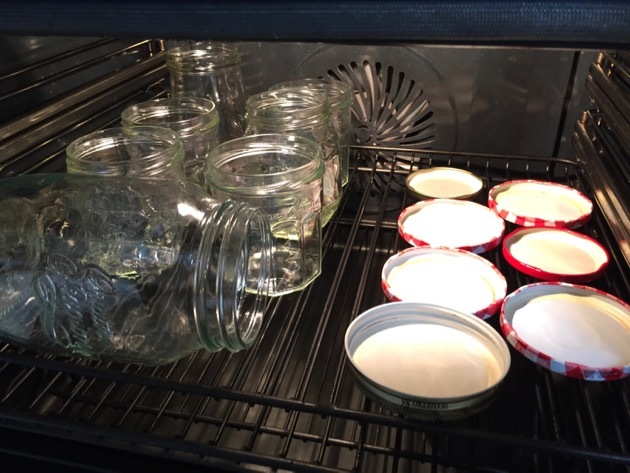 Clean jars can be sterilised in an oven on 160C for 15 minutes. Make sure the jars are still hot when you add the relish. 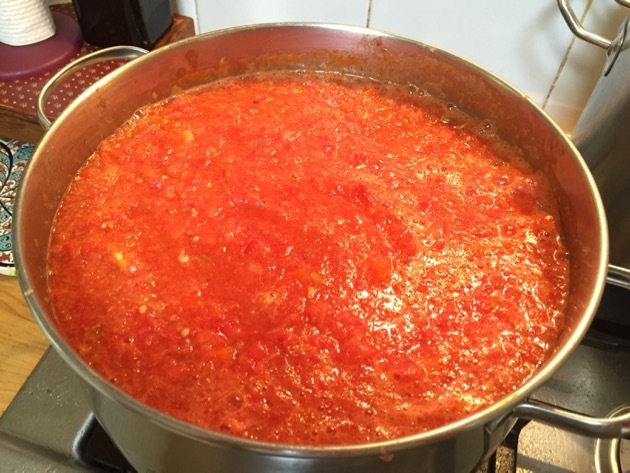 This is tomato sauce made for a special pasta dish in mid-winter. After cooking and before freezing, I put it through a mouli to remove the skins. The sauce was packed in a plastic tub for freezing. 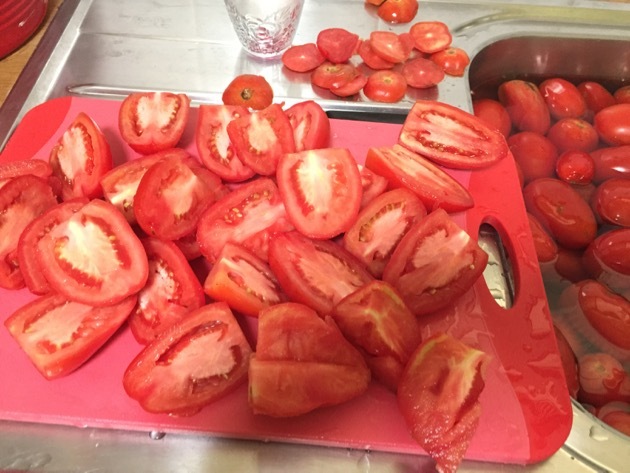 Tomatoes are a good starting point if you have never done any preserving before. They're usually easy to buy, or grow, and they don't cost too much. 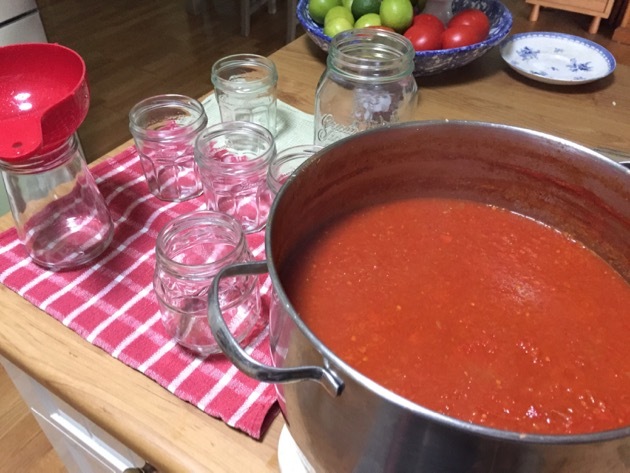 If you can buy them at a cheaper price, you'll be able to add jars of good quality relish or sauce to your cupboard or freezer stockpile that you can use during the year. Only high acid foods, or foods you can add lemon juice or vinegar to, are suitable for preserving in jars but adding the right amount of vinegar, and the sugar that helps balance out the vinegar, will give you the right acid level to keep the relish safe. If you're not sure of your recipe, always freeze large amounts of relish or store smaller amounts in the fridge in sterilised jars. I'll be giving some of my jars away but most will be stored in the cupboard and then kept in the fridge after opening. I have frozen the larger quantity of sauce in a plastic container to be used in the dead of winter on some homemade pasta. I'll probably make cheese to go in that meal too. 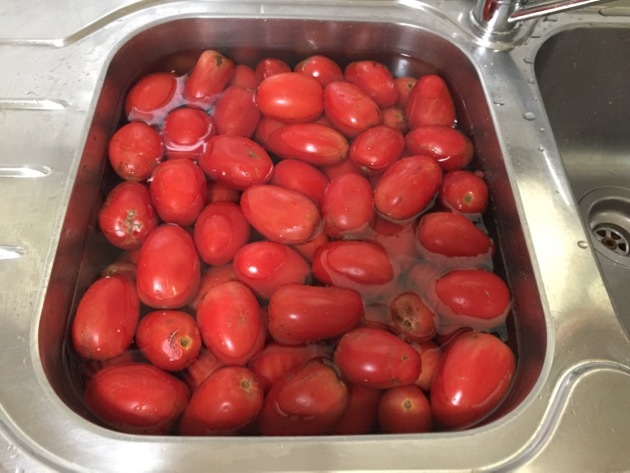 RECIPE: For every 1 kilogram of tomatoes, add 2 chopped medium onions and 2 sticks of chopped celery, 160 mls vinegar (I use malt vinegar) and ½ cup brown sugar. Add salt, pepper, 1 tablespoon curry powder, chilli, oregano and any other spice you like. 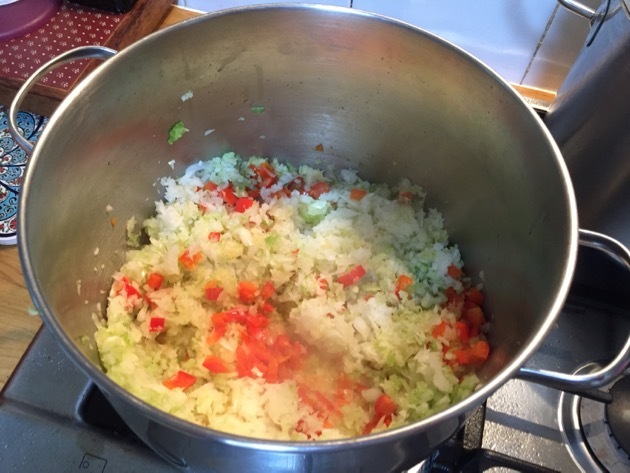 Add all your ingredients to a stockpot and boil for at least four hours on a slow heat until the relish has reduced and thickened. 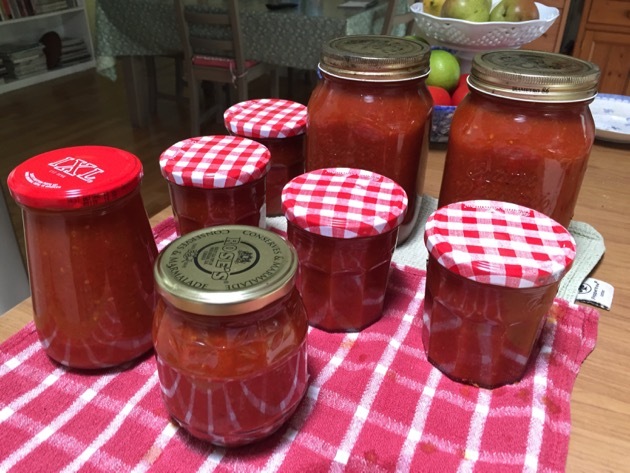 While still hot, add to sterilised jars, turn upside down and leave on the bench overnight to cool. It will pay off for you to learn a few different ways to store food. We either work hard for the money to buy food or we work hard to grow food, wasting it shouldn't be an option. My next food storage projects are lime cordial that I hope to make today, and rosella jam and tea later in the week. 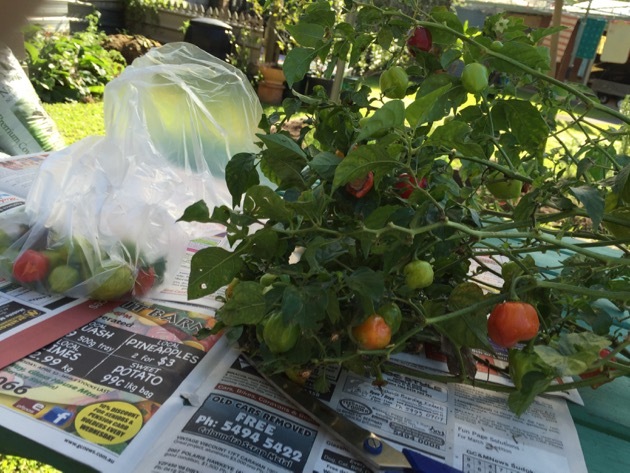 We have rosellas growing in the backyard and will strip those bushes to make way for our winter vegetable garden. You'll find real comfort in eating your own summer foods in the middle of winter. 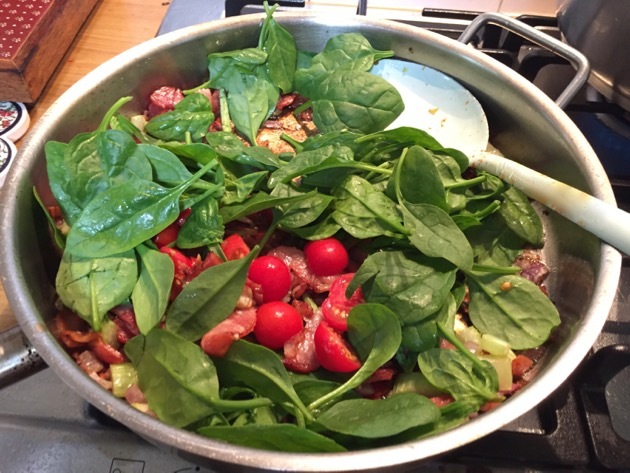 What have you put away for eating later in the year?